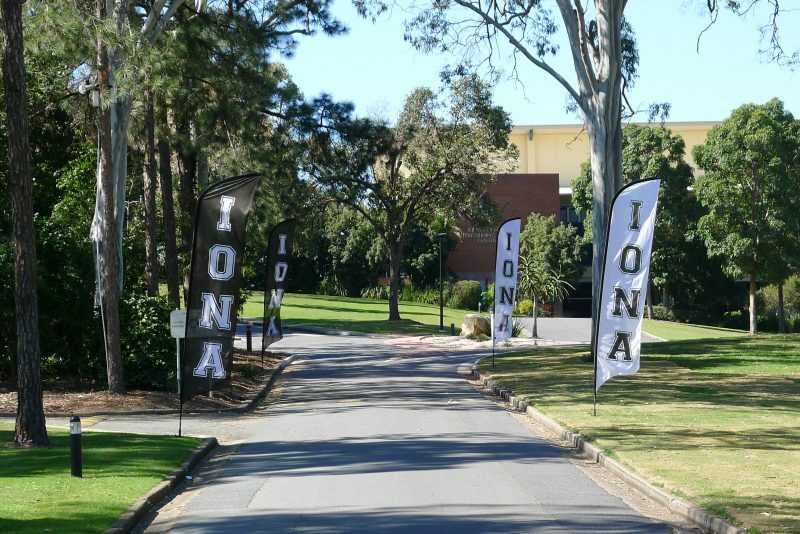 Iona is located in Lindum and is accessible from Wynnum Road (via Kianawah Road). From Wynnum North, Sandy Camp Road leads to the College. The College is on the Cleveland Trainline (Lindum Station). An access pathway from Lindum Station is provided into the College grounds. The property is bounded by North Road and Sandy Camp Road. The College Main Driveway and Administration are accessed from North Road. Iona College is adjacent to Lindum Railway Station, which is on the Cleveland Trainline. An access pathway from Lindum Station is provided into the College grounds. Queensland Rail offer specially discounted tickets for primary and secondary school students travelling to and from school. School Rail Passes may cover single or return travel for either a semester or a whole year. To take advantage of the discounted fare, collect an application form from your nearest attended Queensland Rail station. Please note that all students are required to be in possession of a valid ticket for their journey prior to boarding a train, unless the departure station is unattended and the Ticket Vending Machine is inoperable. Students holding current valid Transdev bus passes in Year 5 or Years 7 to 11 will automatically receive new passes at the start of the school year. For new bus pass applications, parents will need to fill in and complete the Bus Travel Assistance Form or Safety Net Travel Assistance Form (if they do not meet the distance requirement and hold a current Health Care or Pension card from Centrelink). If students are moving from primary to secondary in the next school year or any of their details have changed, they will need to complete the Bus Travel Assistance Form or Safety Net Travel Assistance Form also. The change of details includes change of school, change of home address, change of frequency of travel or change of guardian. Please refer to Transdev website for more details. To ensure all new passes are available for the commencement of the new school year, please submit forms as early as possible. Any queries should be directed to qld.admin@transdev.com.au or 07 3248 6100. Students who ride bicycles to the College are reminded of the current law in respect to the wearing of safety helmets. A secure area is available at the College for bicycles. Bikes must be placed in this area immediately on arrival at school. The area is then locked for the day.